William A. Musto (Bill) has been successfully practicing law for over 25 years for a very diverse group of clients. Throughout Bill's career, his focus has been to always unify his strengths, professional experience and competitive nature for the mutual benefit of clients, peers and personal goals. His legal expertise includes most litigation matters, including domestic law, business and commercial law, personal injury, landlord-tenant, collection and real estate. In representing and supporting each client, Bill confidently embraces each issue with a personal commitment to provide an exceptional level of legal expertise. Bill is committed to strong communications! He will make sure that the client is not only informed, but educated, as the case progresses. Bill works each case with the idea that a solution can be reached between adversaries however, when it is time to put the gloves on, he is a powerful and articulate trial attorney. 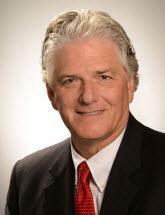 Bill is an active member of the Fairfax Bar Association and has chaired the Lawyer Referral Service. His diligent work with the Fairfax Bar's Lawyer Referral Service built a program that now provides a significant resource to the community at large. Involvement in this organization is a valuable asset, as the strong relationships with fellow attorneys and those supporting the law in our community is a tremendous advantage to his clients. A native of Northeastern Pennsylvania, Bill has an undergraduate degree in Business from the College of William and Mary. After spending a few years chasing his dream to be a professional golfer, Bill obtained his Doctorate of Juris Prudence from Howard University and immediately passed the Virginia Bar. Bill and his wife have made Northern Virginia their home for over 30 years, have raised two successful children, and continue to be involved in the growth and development of our community.